The ability to track human beings, their movements and biological functions using microchip technology is a well-established reality in modern times. But is it possible that these chips could be used to track abductees in the Military Abduction program and elsewhere in space? According to the following article by Dr. Michael Salla, this is a definitive possibility. Harald Kautz Vella is a physicist and researcher that studied Geoengineering, Solar Radiation Management, or as it is commonly known, the Chemtrail phenomenon. In his work, he reveals that certain compounds are delivered into the environment via aerosol spraying with the purpose of augmenting the human organism such that it can be tracked using HAARP technologies. According to Vella, in first world nations the level of exposure to these compounds is nearly 100%, suggesting that the human tracking is already taking place on a huge scale. 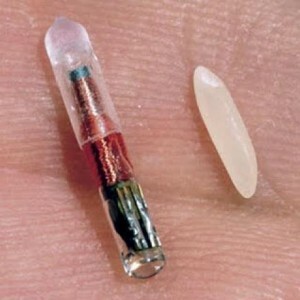 One wonders, if secret governments have already developed an effective tracking system, such as what is described by Vella, why would they need a bulkier type of technology like an RFID chip? Salla's suggestion that the chips could be used in facilities outside the Earth, such as on Mars and in the asteroid belt, takes on more plausibility if Vella's assertions about the Geoengineering agenda are valid. Despite these disturbing topics, humanity retains the power to change the status quo, if it is willing to gain awareness of these issues and coordinate to make decisive changes. An immoral past follows the Siemens multinational corporation, currently Europe’s largest engineering company, which assisted the Nazis by using slave labor to build advanced weapons during World War II. The collapse of Hitler’s Third Reich put an end to a dark chapter in Siemens past – according to conventional historians. Not so, according to the claims of two whistleblowers whose testimonies lead to a disturbing conclusion. Siemens has been involved in secretly building billions of tiny RFID chips to track the movement of abducted humans used as forced labor in secret space colonies and in a galactic slave trade. 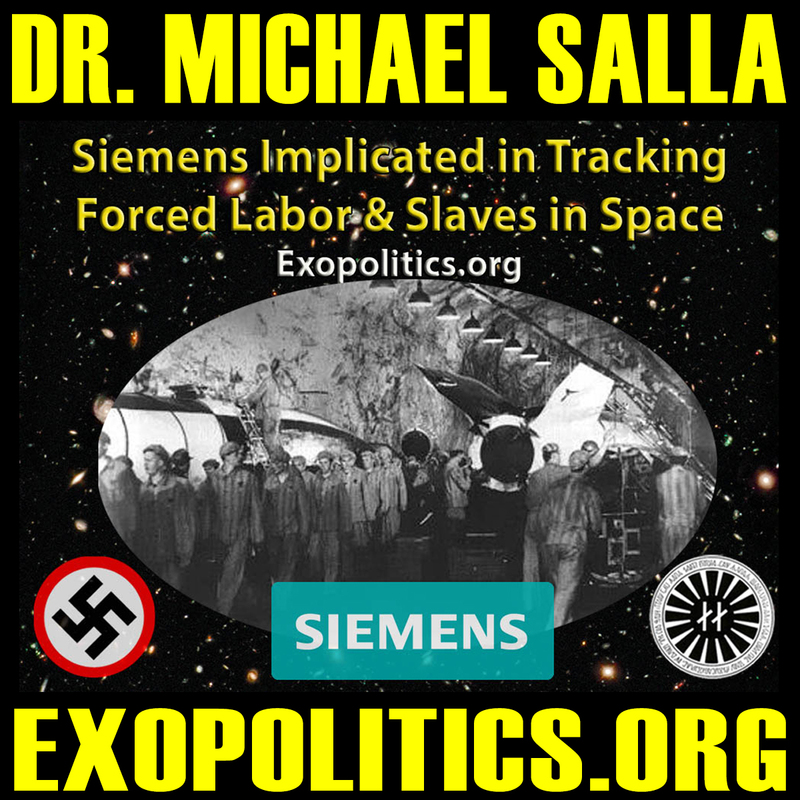 Siemens announced plans Wednesday for a $12-million fund to compensate former slave laborers forced to work for the firm by the Nazis during World War II…. Almost a year ago, at its 150th anniversary celebrations, the company had insisted that it could do no more for its former slave laborers than express “deepest regrets.” The Munich-based Siemens said its fund is in addition to the $4.3 million it paid to the Jewish Claims Conference in 1961 and to providing humanitarian help for victims. Siemens estimates that between 10,000 and 20,000 slave laborers worked in its wartime factories. The threat of lawsuits has raised the pressure on German firms to pay direct claims to the thousands of concentration camp inmates, mostly Jews, forced to work in their factories. Lawyers representing former slave laborers criticized Siemens, as they did Volkswagen, for setting up a fund to avoid larger payments a lawsuit might demand. Siemens is seeking “the cheapest alternative,” said Munich attorney Michael Witti, who with a colleague filed the U.S. lawsuit. Readers might be forgiven for believing that the compensation of former slave laborers is an issue associated with a terrible chapter in our recent history. However, there is whistleblower testimony that such practices continue and Siemens is still involved. William Pawelec was a computer operations and programming expert with the USAF, who started his own electronics security company, and worked for high profile U.S. defense contractors such as SAIC and EG&G. He received high level security clearances and had access to many classified projects. Prior to 2001, Pawelec decided to reveal what he knew about deep black projects that he believed were hiding advanced technologies from the U.S. public. He gave an interview to Dr. Steven Greer with the strict instruction that it would only be published after his death. He died on May 22, 2007 and the video was published posthumously on December 14, 2010. Pawelec said that soon after demonstrating an even more sophisticated lithium niobate chip in 1984, which could be tracked from a distance of 120 kilometers in space, he discovered a small Silicon Valley company had been set up to manufacture billions of them. He learned that“after they had made billions and billions of these little chips” the factory was shut down a year later, and all information about the chips disappeared.